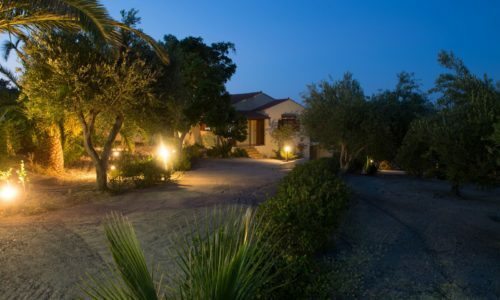 Lefkothea Villas are located in Rethymno, in a village named Adele just 1,5 km from the nearest sandy beach. 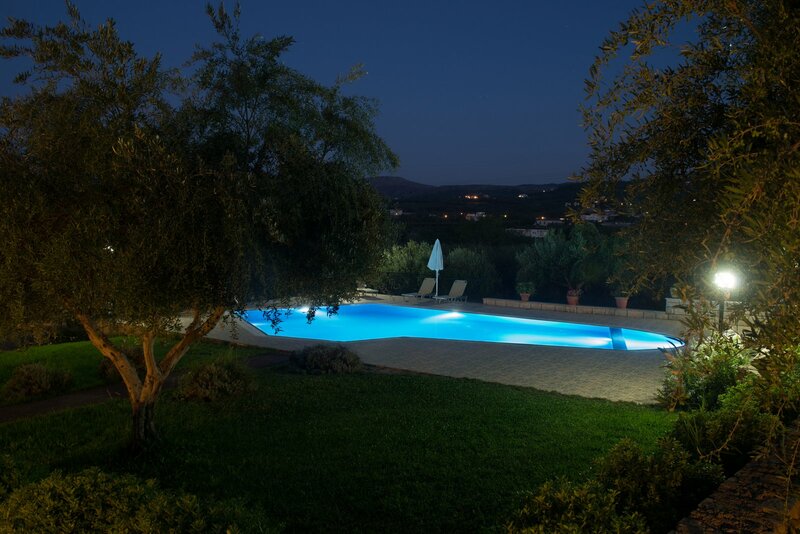 Two self-contained holiday houses, extensively renovated in 2018, for a total of 13 people (5 + 8), on an enclosed site with a private pool that can be illuminated at night, and a great view of the surroundings. 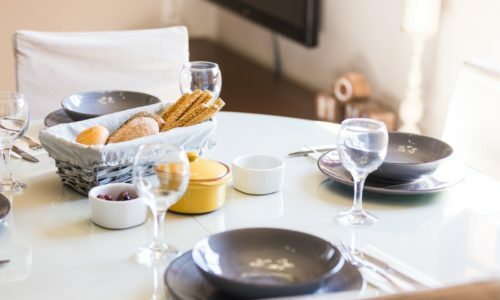 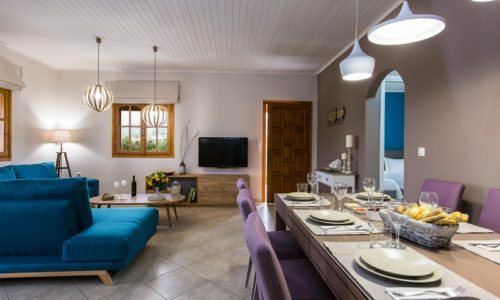 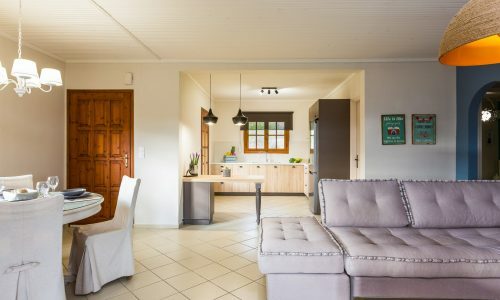 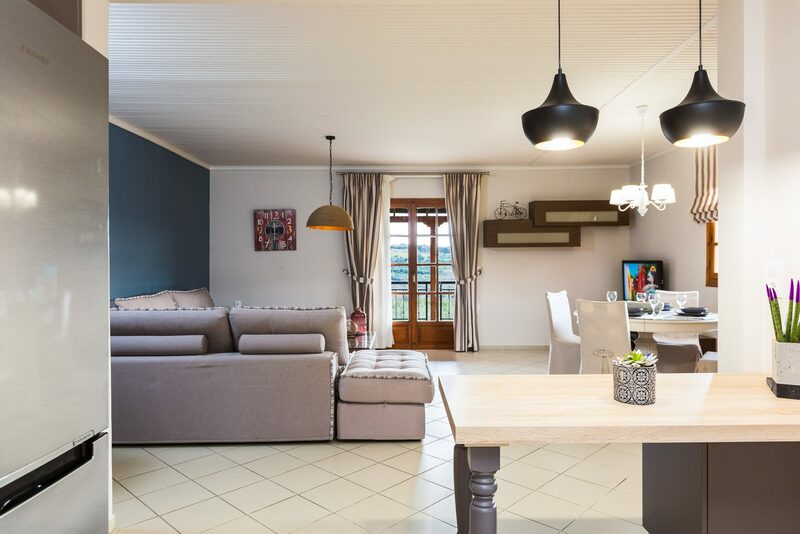 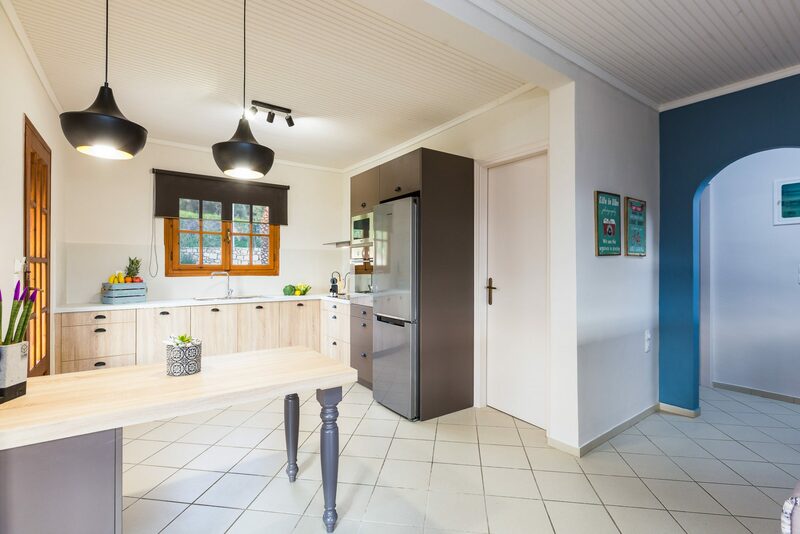 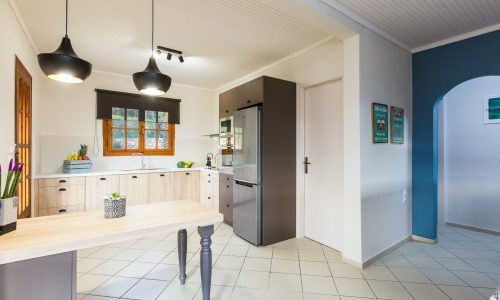 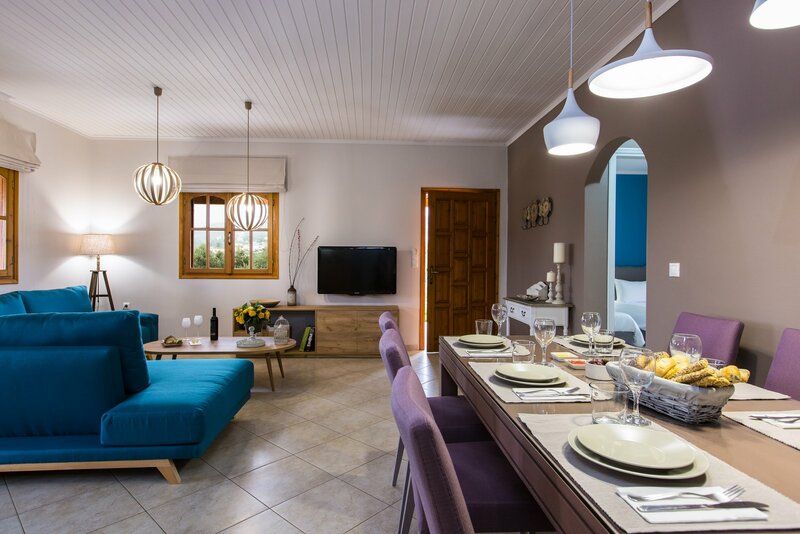 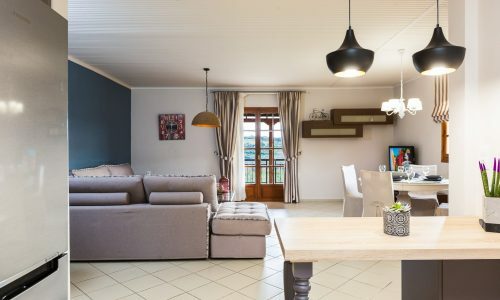 Two separate holiday houses await you, which are ideal for a group of friends or for 2-3 families who would like to spend their holiday together, whilst still retaining some privacy. 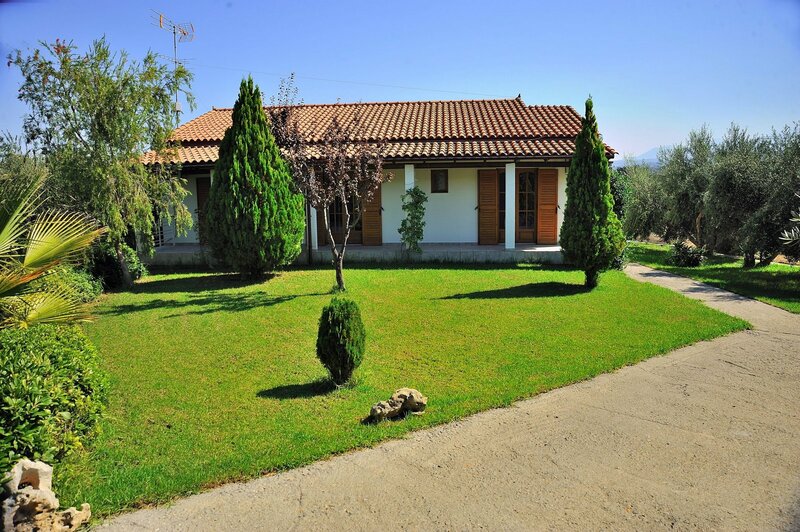 The first villa of 95m² has two bedrooms and can accommodate up to five people. 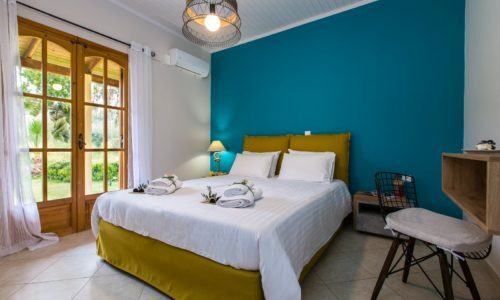 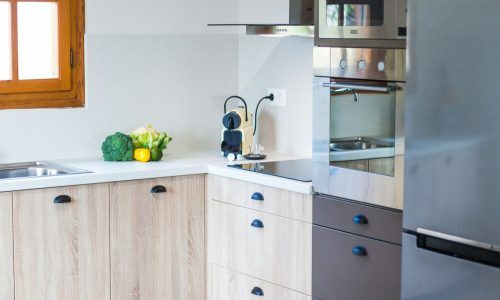 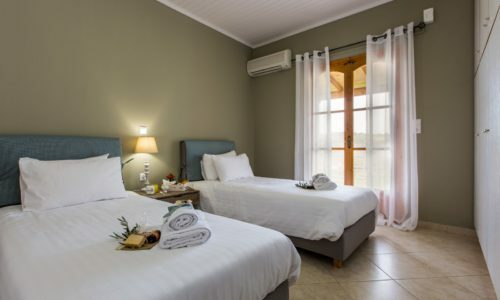 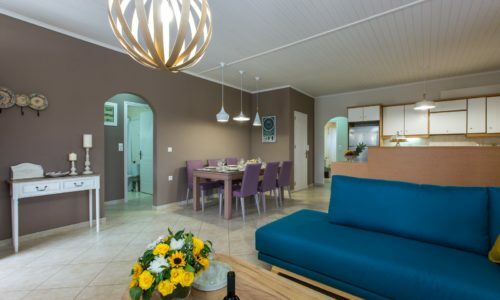 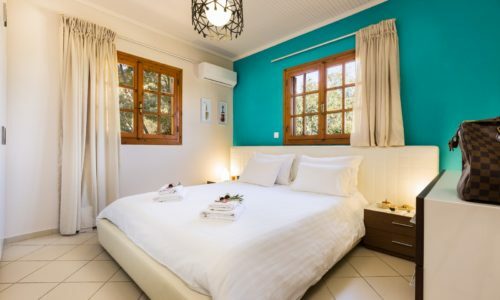 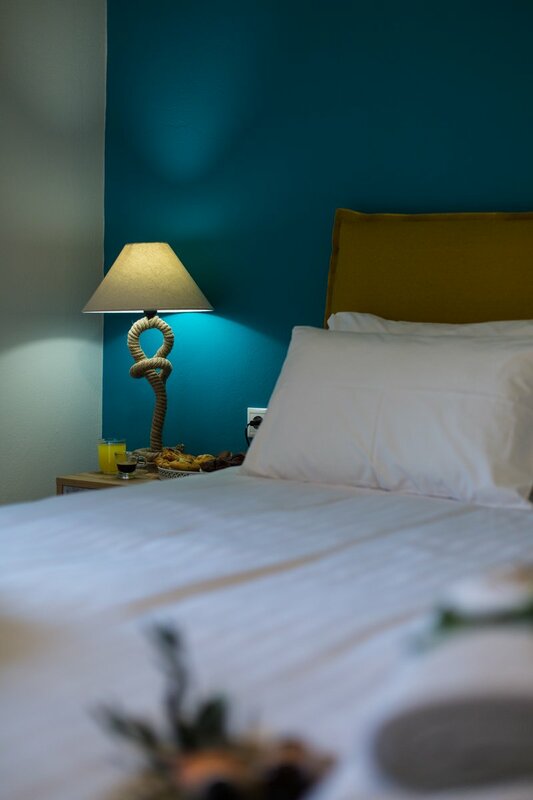 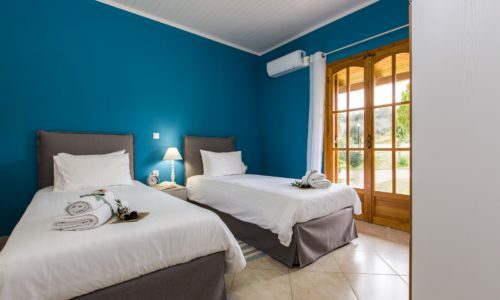 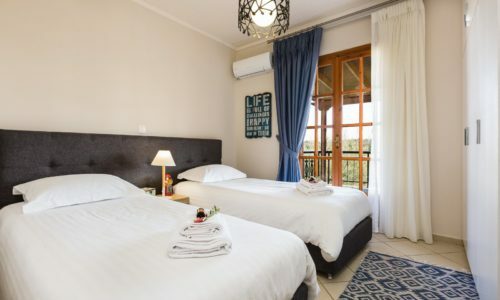 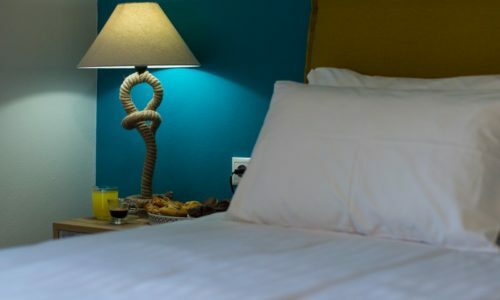 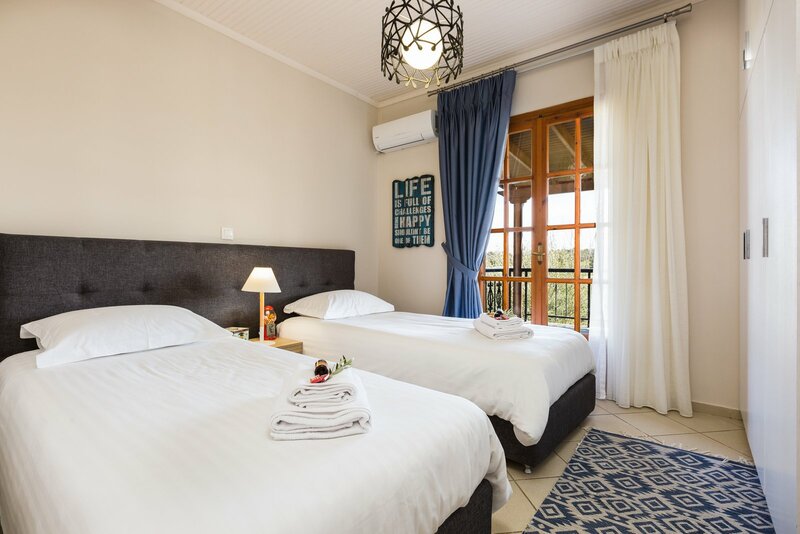 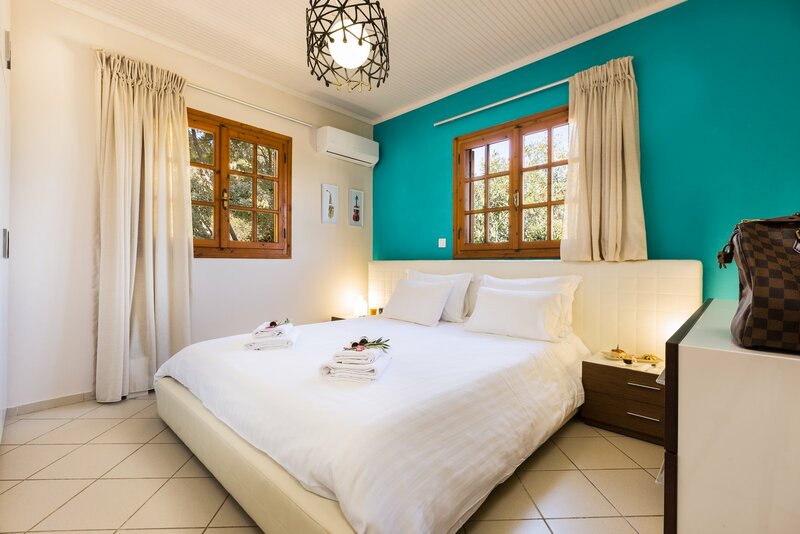 The rooms have quality furnishing and the first bedroom has a double bed (160 x 200cm), while the second has two single beds (90 x 200cm) that can also be joined together as a double bed. 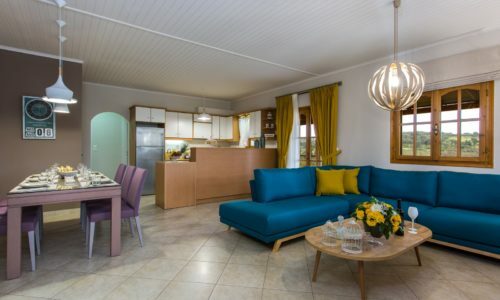 If there are five guests, then the extra person can sleep on the sofa. 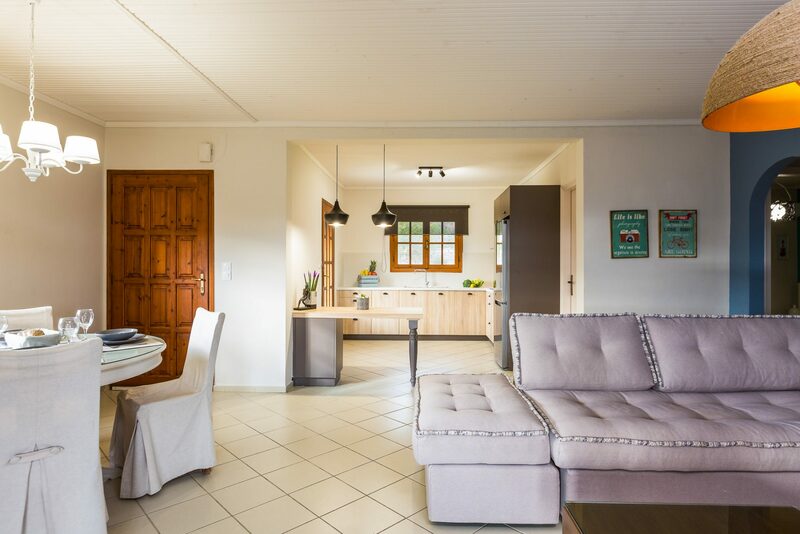 The centerpiece of the house is the open living and dining room with a fully-equipped kitchen and a nespresso coffee machine. 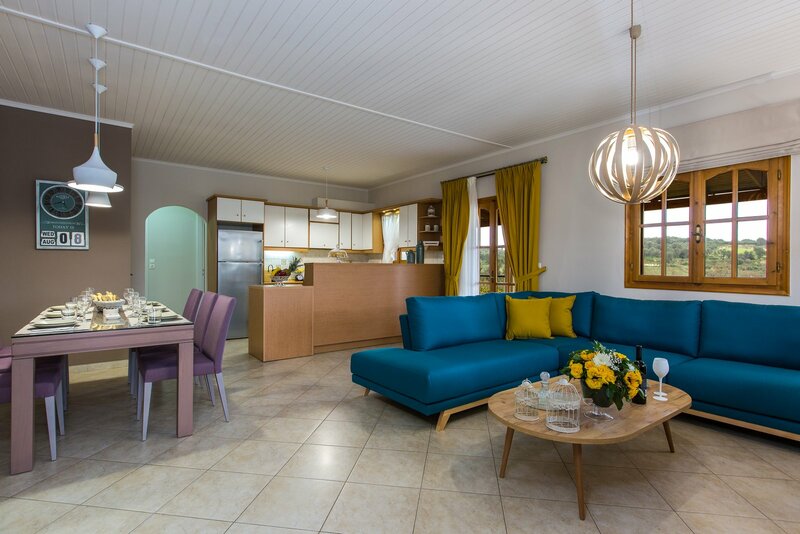 All guests can sit at the big dining table or on the comfortable sofa. 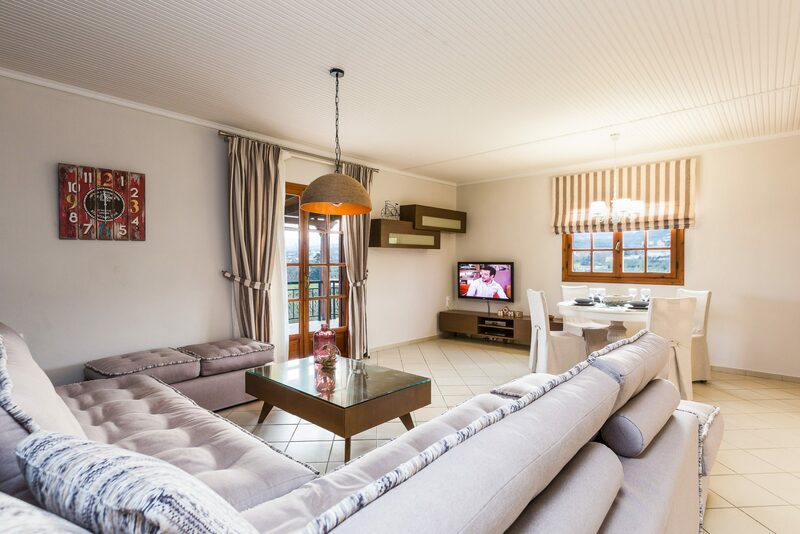 A flat screen TV with satellite channels provides entertainment. 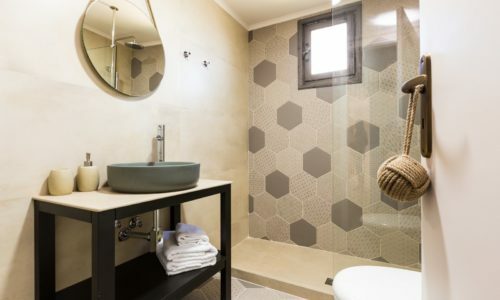 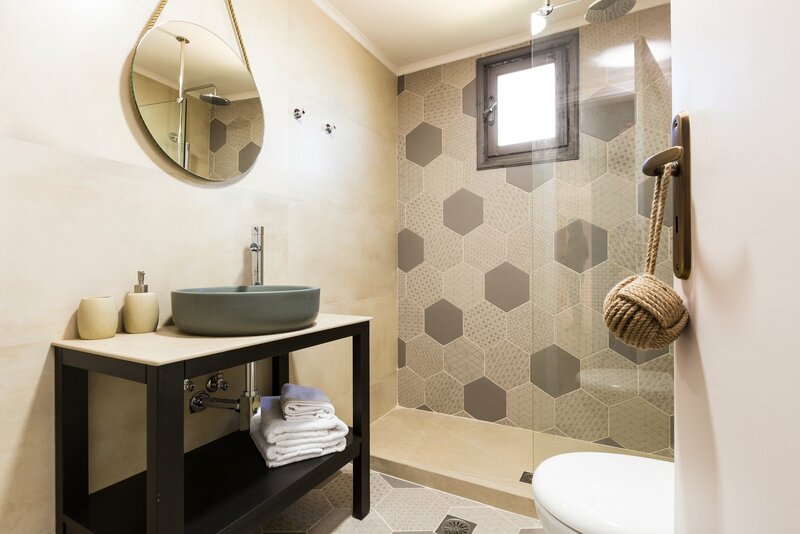 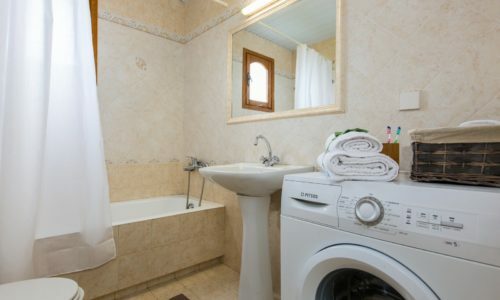 There is also a bathroom with a bath and shower attachment. 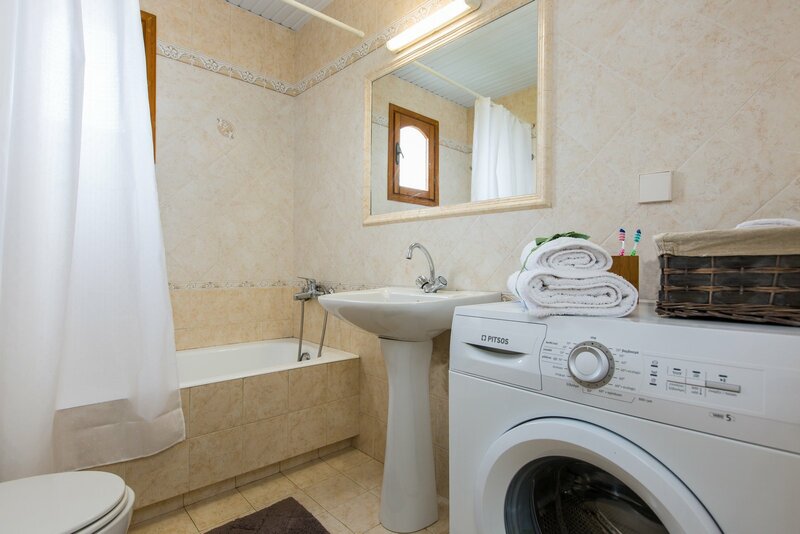 There is a big storage room for your luggage. 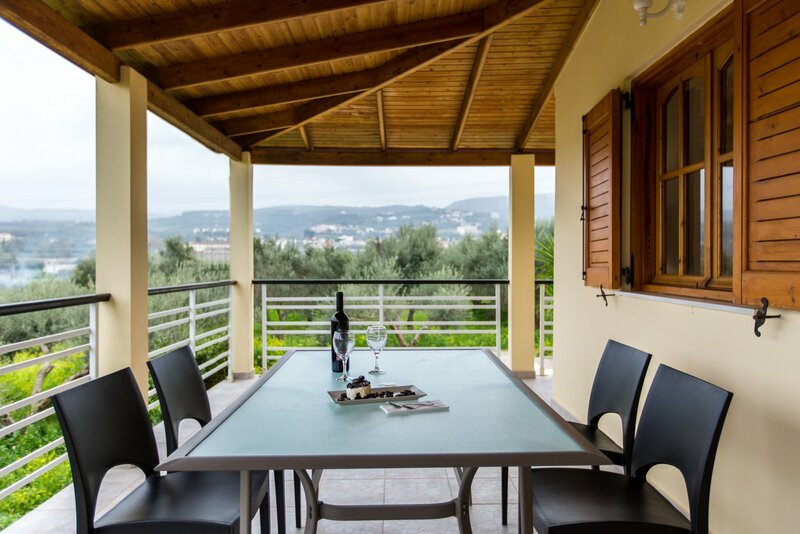 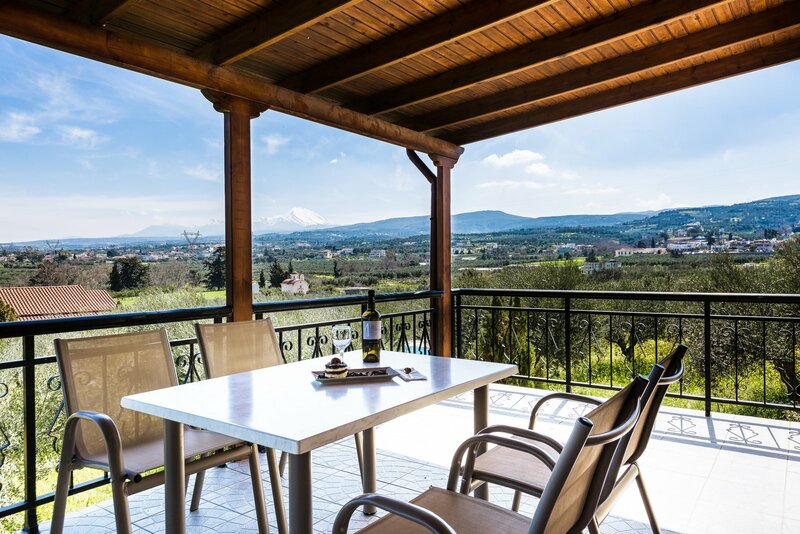 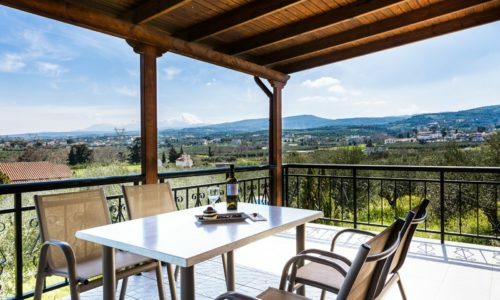 The second villa of 120m² has four bedrooms and can accommodate up to eight people. 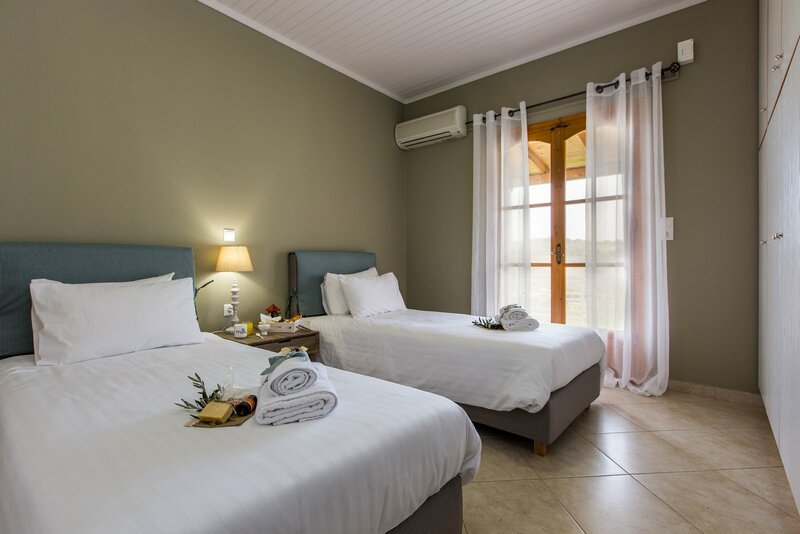 The two bedrooms have double beds and the other two have single beds (90 x 200cm) that can also be joined together as a double bed. 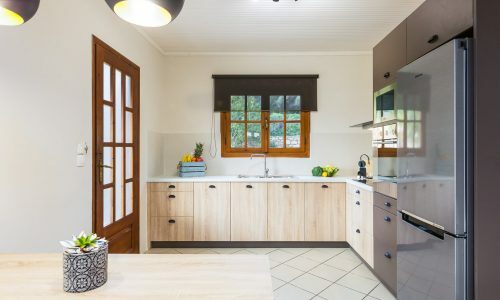 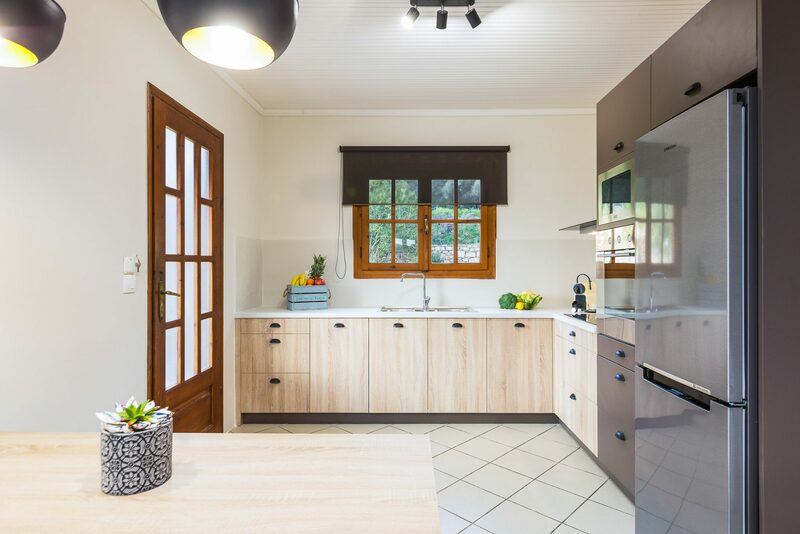 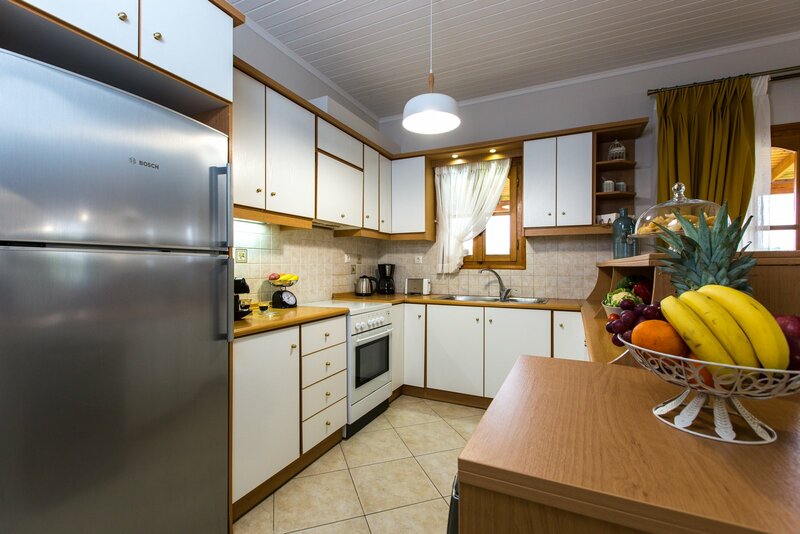 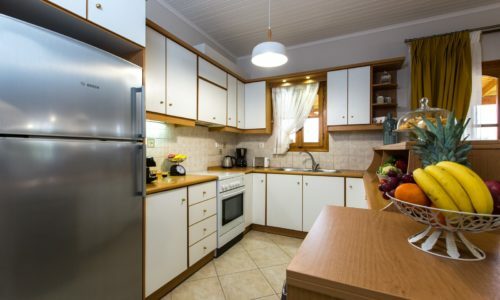 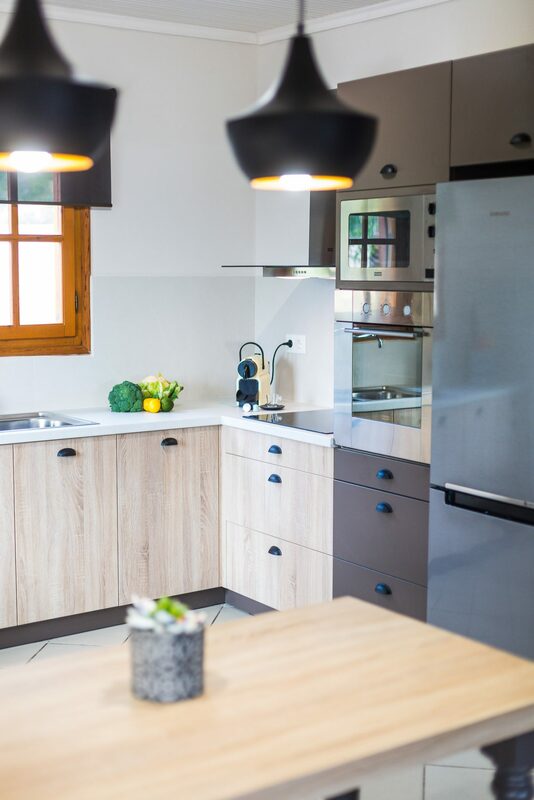 The dining room has an integrated, fully-equipped kitchen a dish washer and a nespresso coffee machine. 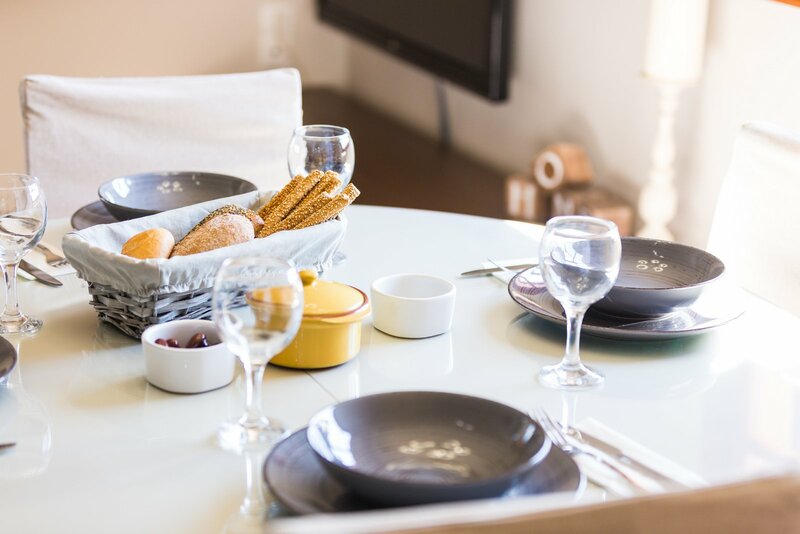 All guests can sit at the big dining table for leisurely holiday meals. 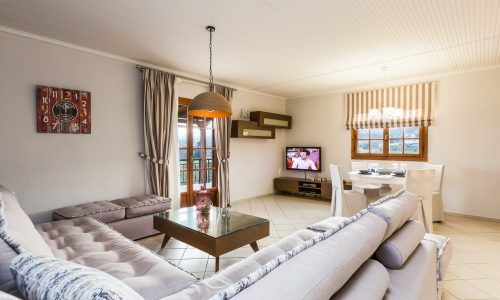 There is a wide flat screen TV with satellite channels. 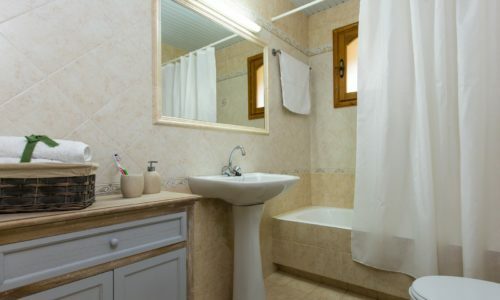 Of the two bathrooms, one has a bath with a shower attachment and a washing machine, and the other has a shower cubicle. 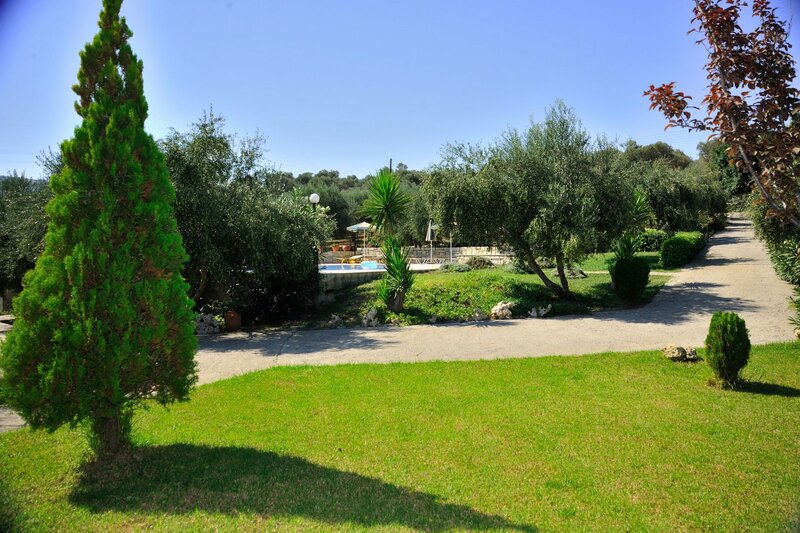 The outdoor area of the villas has two gardens at front of the houses surrounded by olive trees. 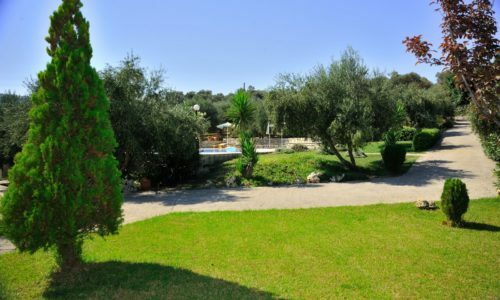 Also there is a private parking area for more than 3 cars. 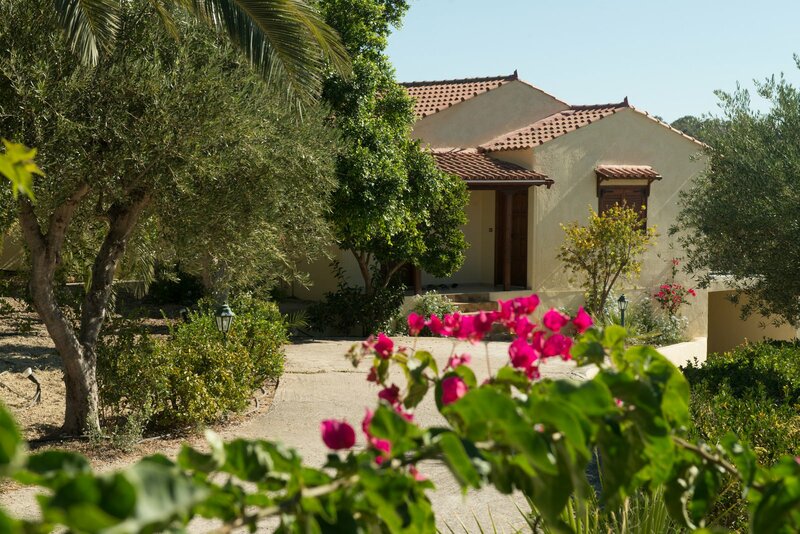 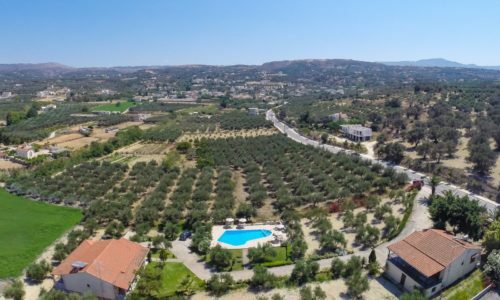 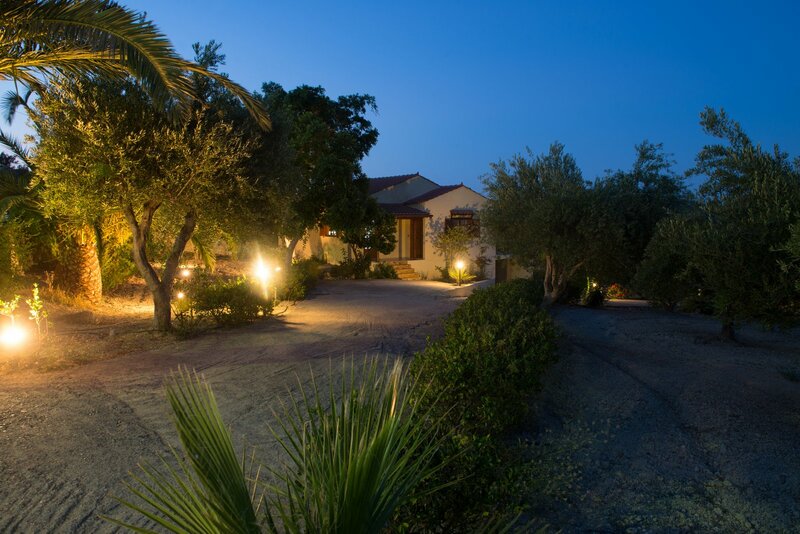 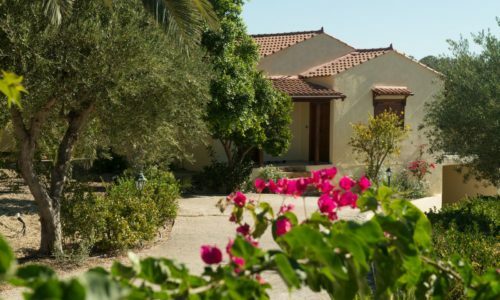 Our guests will be offered a bottle of oil from our own olive grove, as well as a basket of local fruits. 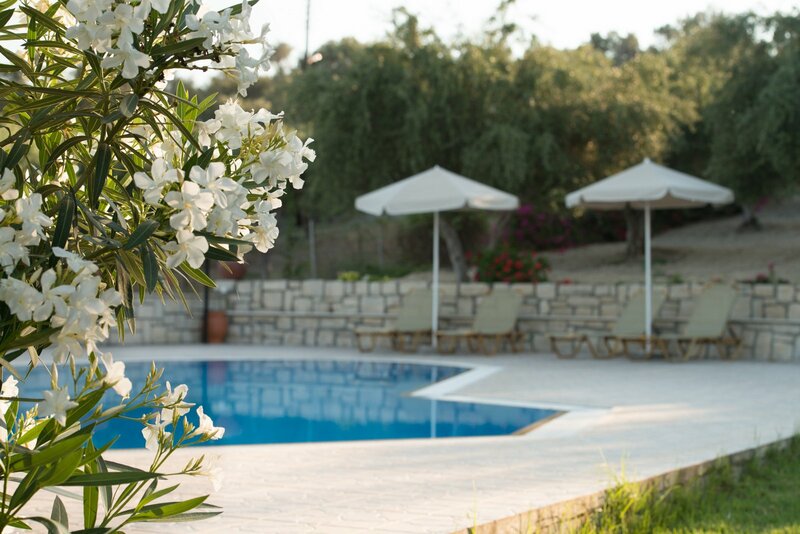 This is our way to welcome you to our villas and wish you a pleasant and unforgettable stay at Villas Lefkothea! 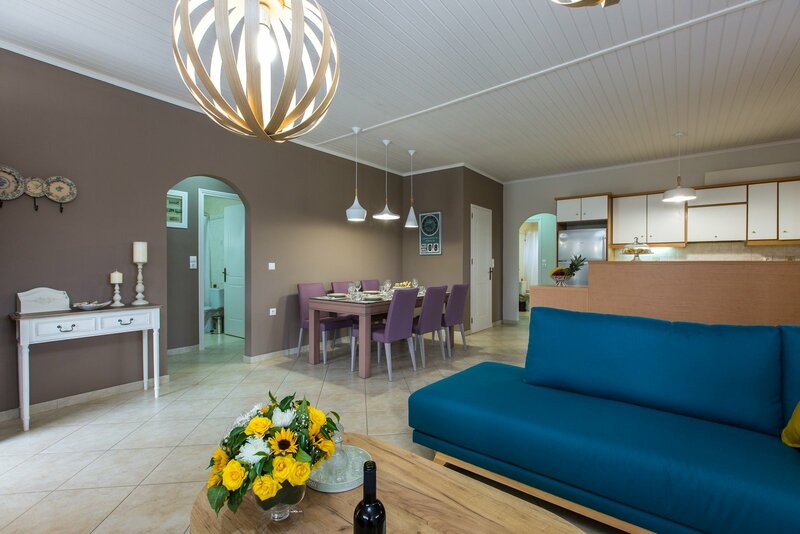 You actually book two independent houses, which are ideal for big groups! 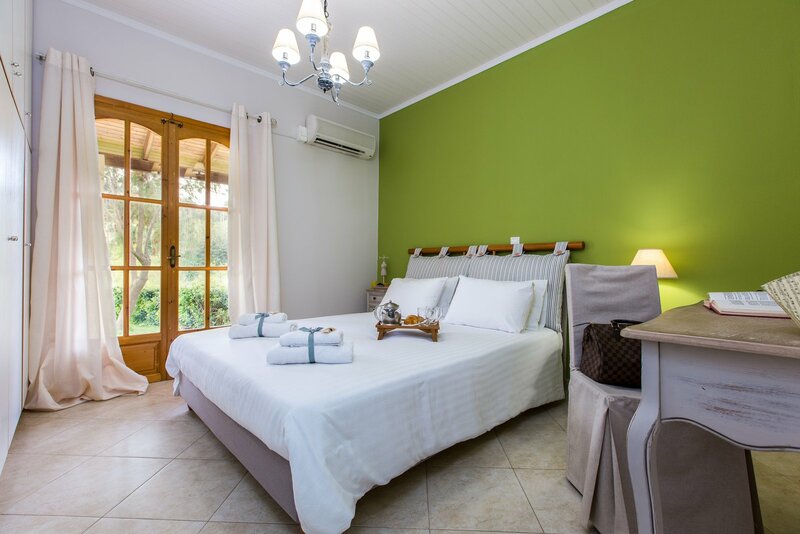 Apart from the breathtaking views and beautiful gardens – the peace and privacy that every visitor seeks, along with rest and relaxation. 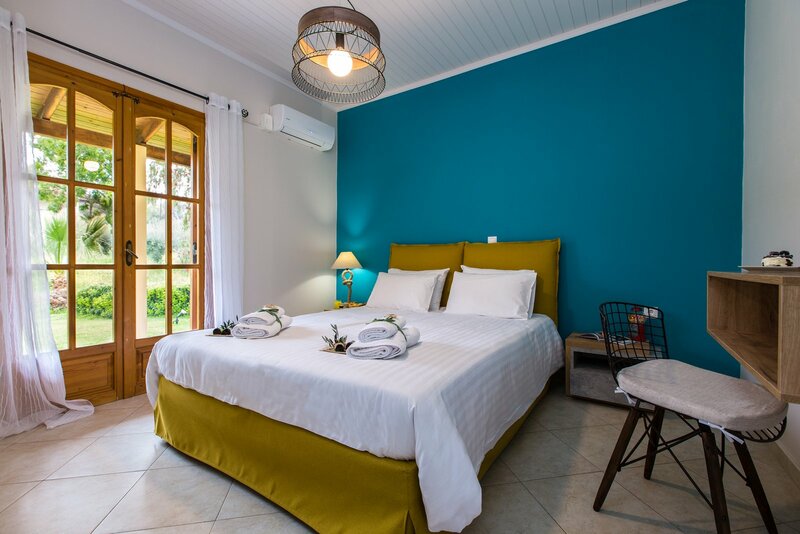 In addition, visitors can swim in the large private pool of the villas, which also has a children’s section for greater safety of our young visitors! 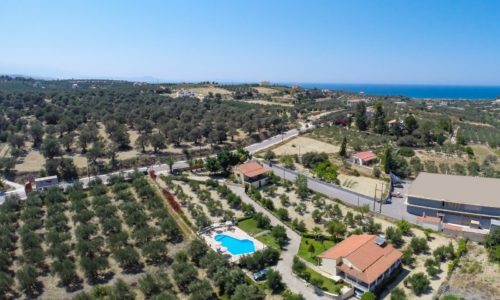 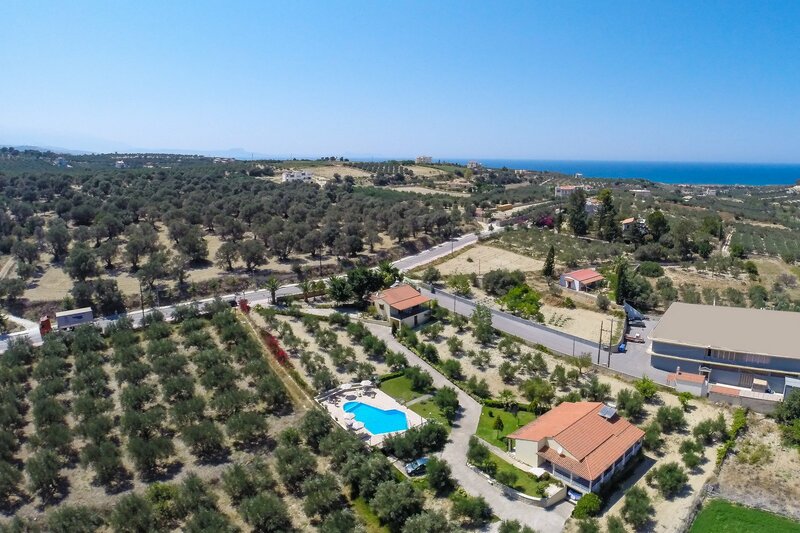 The location of the villa which is next to a living area where you can find all kinds of shops (Adelianos Kampos) and also be only 2 minutes from the nearest beach! 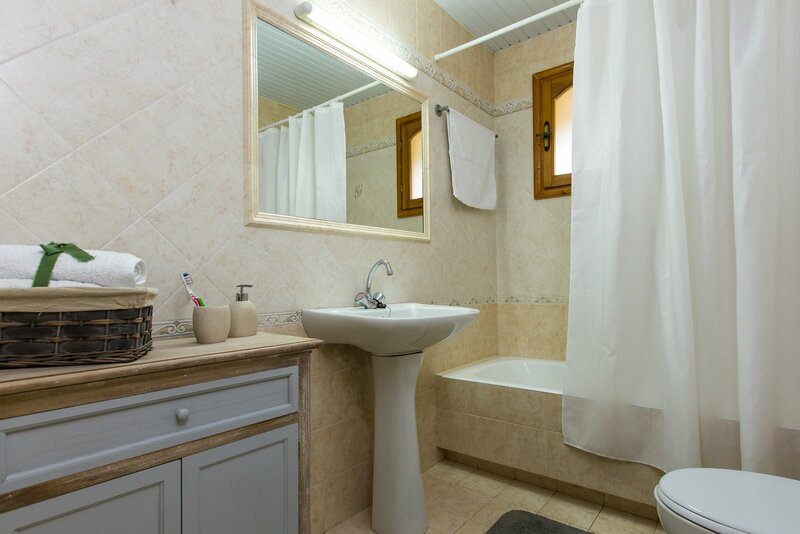 Guests will have access and full privacy to all areas indoor and outdoor! 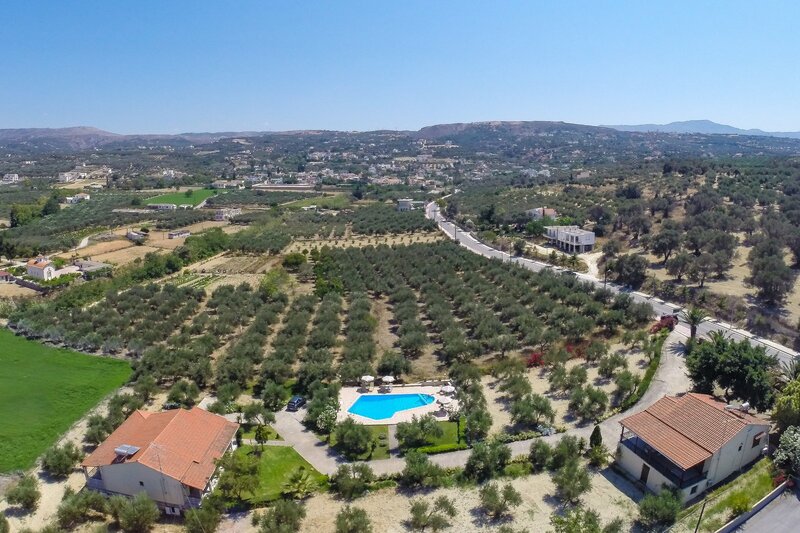 Aerial view of the property!! 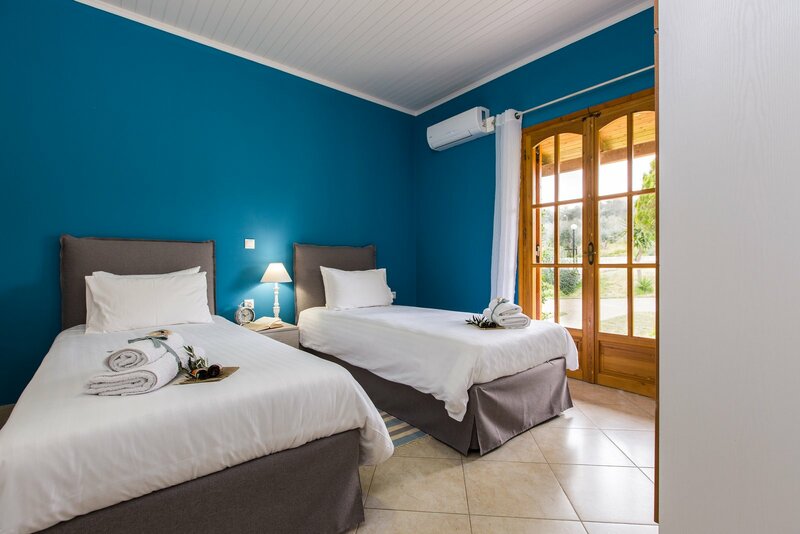 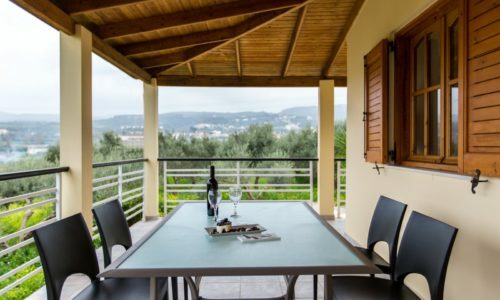 The villas have been recently renovated offering high standards of accommodation! 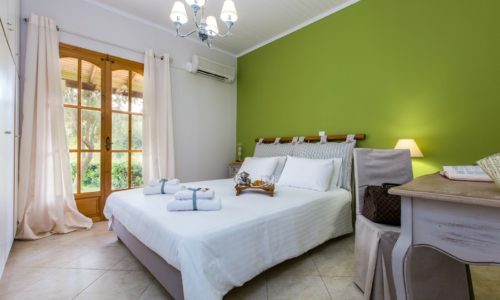 I’ve already stayed 2 times at Villas Lefkothea, each time was a very big pleasure. 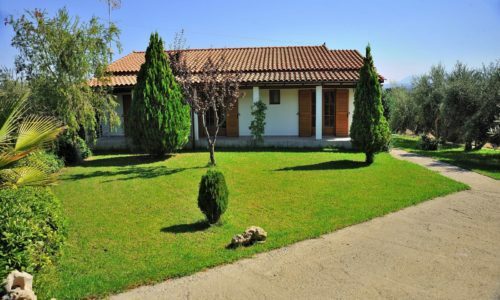 Manousos and his mother are very nice, helpful and gave very good tips about the region!